In connection with various exhibitions, Mixit Print Studio has published or co-published catalogs and boxed portfolio print projects. Portfolio sets have been acquired by collections such as the Boston Public Library, the Museum of Fine Arts Boston, the New York Public Library, the Boston Athenaeum, and the Wesleyan College Museum. 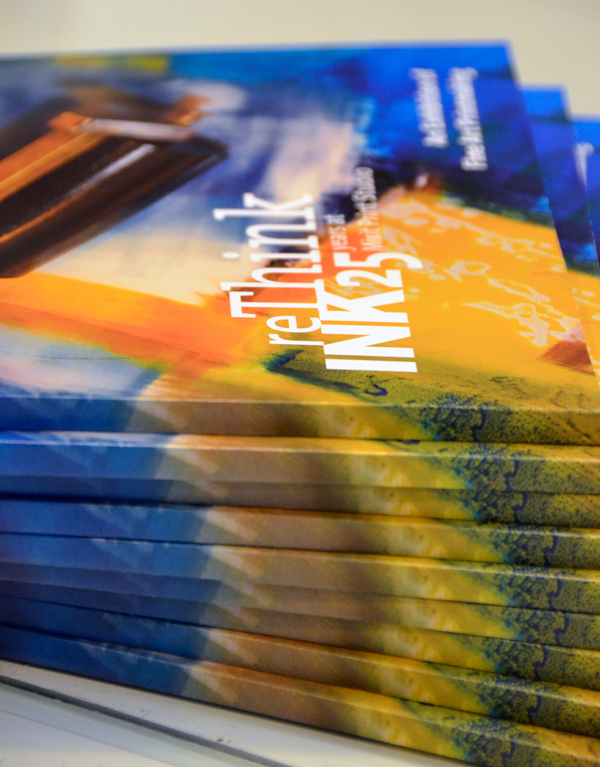 A full color catalog documenting the exhibition reThink INK that celebrated the 25th anniversary of Mixit print Studio. Published by the Boston Public Library in cooperation with Mixit Print Studio, this book tells the story of a group of printmaking studios and the artists who worked in them. It describes the relationship between Mixit Print Studio, Hand Press, Artist Proof Studio in South Africa, and Artist Proof Studio, in Cambridge, MA, a studio to which the others all trace their roots. Proof in Print contains essays, a description of each studio, artists' statements and biographies, a glossary of terms, and full-color reproductions of 96 prints. Catherine Kernan, Jane Goldman and Randy Garber are included in the new publication, “Contemporary American Printmakers” by Stephanie Standish. Printmakers today are sustained both by their traditions and by their willingness to embrace new technologies, new mediums, and innovative processes. Over 500 beautiful color images display the innovative work of 75 talented printmakers and 30 print shops. Traditional printing techniques featured include lithography, intaglio, screen print, and relief, while newer techniques include installation, digital, and fiber, among other forms of new print media. The artists speak for themselves, revealing why they create their art. Consequently, the readers will gain a deeper understanding of their world. These assembled prints reflect the talent of this time and in this place. The artists’ mediums, patterns, images, and environments also capture our culture and attempt to foretell our future. 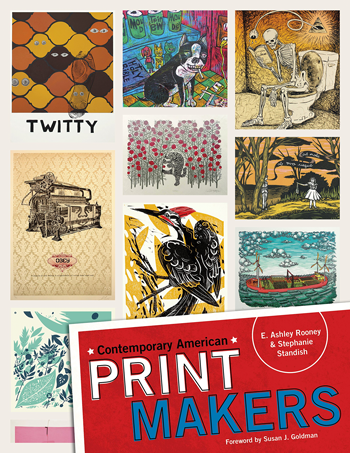 This book will be a treasured resource for anyone who appreciates the printmaker’s art.